Brighthouse Financial (BHF) isn’t just a cheap stock. It is an unfathomably cheap stock. With a share price currently bouncing are $35, the insurance company is currently trading at 0.29 times book value per share. Similar insurance companies are currently trading for 0.80 times book value. First, Brighthouse’s “bread and butter” insurance business isn’t very interesting. After all, the company primarily sells life insurance and annuities to U.S. households… YAWN. That doesn’t exactly draw in a lot of investor interest. 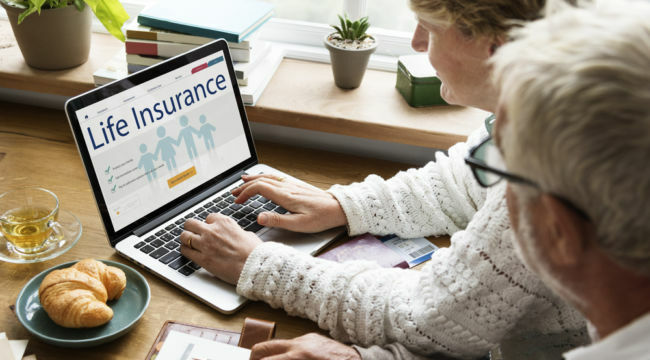 Second, Brighthouse was born in the summer of 2017 when U.S. insurance giant MetLife spun-off its retail subsidiary into a separate publicly traded company. That was a good thing for MetLife since it means lower compliance and reporting costs going forward. After the spin-off, shares of Brighthouse did what shares of spun-off companies often do, they decreased in price and they have yet to recover. Yet it’s important to note that the company is not in any sort of financial distress. You Can’t Change The Valuation — So Exploit It! You might be surprised to hear me say it, but the one thing that Brighthouse shareholders should say to the stock market for this pessimistic valuation is… THANK YOU! The reason why is because the Brighthouse Board of Directors has taken this incredibly cheap valuation and turned it into an opportunity to be exploited. Because Brighthouse Financial is in solid financial shape, the Board of Directors is able to deploy excess capital to repurchase shares of BHF in the open market at this rock bottom valuation. The current plan that Brighthouse detailed in its corporation presentation shows the intention to repurchase $1.5 billion of its own shares by 2021. If this happens, it is going have a major positive impact on the intrinsic value per share for remaining shareholders. At the current valuation, a repurchase of $1.5 billion of shares would allow Brighthouse to shrink its share count by an incredible 40 percent! Assuming today’s market capitalization of $4.1 billion, a 40 percent reduction in Brighthouse’s share count from 116 million shares to 70 million shares would result in a share price of $58.57 — a big improvement from today’s $35 share price. Now remember, that $4.1 billion market cap is valuing Brighthouse at just 0.29 times book value. Just imagine what would happen if $1.5 billion of shares are repurchased AND the stock market valuation were to also move up to a more reasonable 0.80 times book value! At 0.80 times book value, Brighthouse Financial would trade at $11.1 billion. And if the share repurchase plan were to reduce the share count to 70 million, that would put Brighthouse Financial’s share price at $158 per share. Clearly, the best thing that could happen to Brighthouse shareholders is for the market to keep this pessimistic valuation going as long as possible so that the Board of Directors can repurchase shares hand over fist. 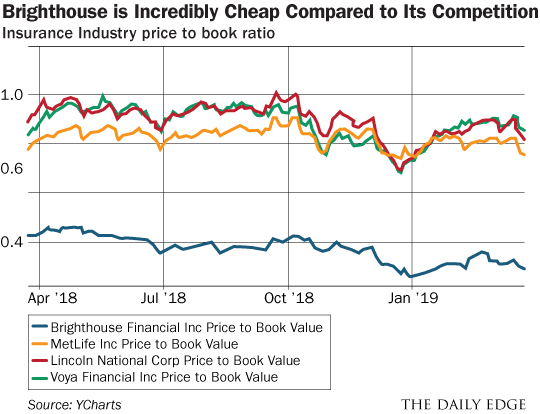 The stock market has served Brighthouse Financial shareholders a lemon with this crazy low valuation. The Board of Directors of this company has a chance to turn that lemon into some very sweet lemonade.